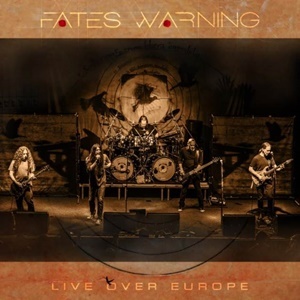 The legacy of Fates Warning cannot be denied for their impact on progressive metal. Be it the early John Arch efforts that may have been more intricate and Maiden-influenced on through to the Ray Alder years that have been forward thinking, propulsive and experimental at times – this US act has a body of work to make measurable headway for their peers and beyond to study and take influence from. Capturing a series of shows on their early 2018 European headlining run, Live Over Europe as a double CD (triple vinyl!) encompasses 22 songs and over two hours and 17 minutes of music that proves the band still has a lot of longevity and vitality left in their heads and hearts. Smartly choosing to mix up setlists night to night allows audiences to engage in many of the band’s ‘hits’ so to speak as well as the occasional epic arrangement or two that have always been a part of the catalog. While you can expect to hear eternal staples like “Pale Fire”, “Through Different Eyes”, and “Eye to Eye”, you’ll also get the 15-minute plus “Still Remains” and 14-minute effort “And Yet It Moves” that take the listener on a journey with sweeping mood changes and magnificent time signature movements. The rhythm section of bassist Joey Vera and drummer Bobby Jarzombek tackle the task of whatever composer/guitarist Jim Matheos throws at them – the darker, Rush-like swing for sequences of “Nothing Left to Say” as intriguing as the quieter to sustained electric action of fan favorite “The Eleventh Hour”. 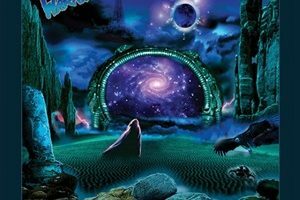 Mike Abdow adds the necessary guitar supplementation and rhythm/lead nuances conveyed to heart throughout the catalog – including probably his best work on one of the many cuts aired from the latest studio album Theories of Flight with “The Light and Shade of Things”. Ray Alder may not necessarily be hitting those piercing highs like he once did when No Exit first surfaced, but he now seems more comfortable to explore the grittier textures of his mid-range and pull out the emotional qualities to his voice a bit more. He’ll still do segments from that record like “Acquiescence” and “Silent Cries”, and get the crowds engaged even rolling through newer material like “Seven Stars” plus Disconnected favorite “One”. Cherry picking the best renditions makes this an accurate representation of how Fates Warning endures, through lineup changes and natural evolution that takes place when you’ve been a band since the early 1980’s. A no-brainer for the faithful – and a good primer if you want to learn more about the band.